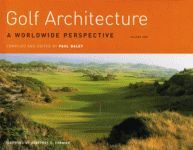 For any golfer who is looking for up-to-date information to plan a golf vacation, this independent, information-packed guide will be indispensable. Ireland has one of the greatest golfing traditions in the world. From its early days when the courses were open to only an elite few to its overwhelming present-day popularity, golf in Ireland has been a fascinating spectacle for both players and fans. This, the only official review of the British Open Championship, gives a vivid up-close perspective on Tiger Woods’ tremendous victory, and the incredible sportsmanship of all the players including Ernie Els and Thomas Björn. The extensive commentary on the highs and lows of the four days of the renowned event puts the talents of some of golf’s top stars in perspective. Hardcover. 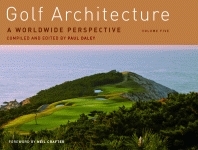 Seaside links courses offer golfers unmatched challenges and enchanting scenery. And while they can be found in many parts of the world, the links of the British Isles are the most famous in their class. Known and revered by golfers everywhere, St. Andrews was formed by members of the Kingdom of Fife in 1754. The Royal and Ancient Golf Club stages the Open Championship annually and is responsible for the rules of golf throughout the world in conjunction with the United States Golf Association. Golf at St. Andrews, including never-before-seen photographs, is an interesting and detailed survey of the Old Course and an account of its rise as the Home of Golf. Hardcover. Scotland, the birthplace of golf, remains a golfer’s paradise. From famous championship links such as St. Andrews and Carryouts to simple one-hole layouts, from remote box clubs to exclusive town clubs, it has more courses per capita that any other country and some of the world’s most beautiful and challenging greens. 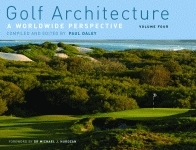 Nominated for the outstanding golf book of the year by the United States Golf Association and selected for the short list so far, LINKS GOLF: The Inside Story describes the beautiful land on which the links courses are built. Daley explains the term “links” and discusses their architecture, style, and great clusters. In 1926, wealthy seed merchant Samuel Ryder agreed to provide a trophy for the best of teams from two countries. 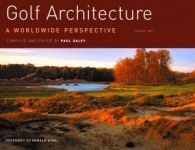 What he started is a unique competition that, for the last seventy years, has regularly raised golf tempers to the boiling point on both sides of the Atlantic.